Otherwise, let’s jump into the review see if this is the right chip carving set for you. 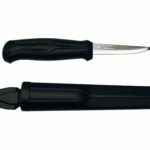 Durable – Extremely sturdy knife, the blades don’t come loose like flexcut knives do. 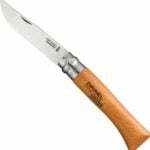 The reason being is that the steel blade runs all the way through the handle which adds durability to the knife. Honestly this is an extremely relieving factor since I’ve had my fair share of run ins with blades that come loose very easily. 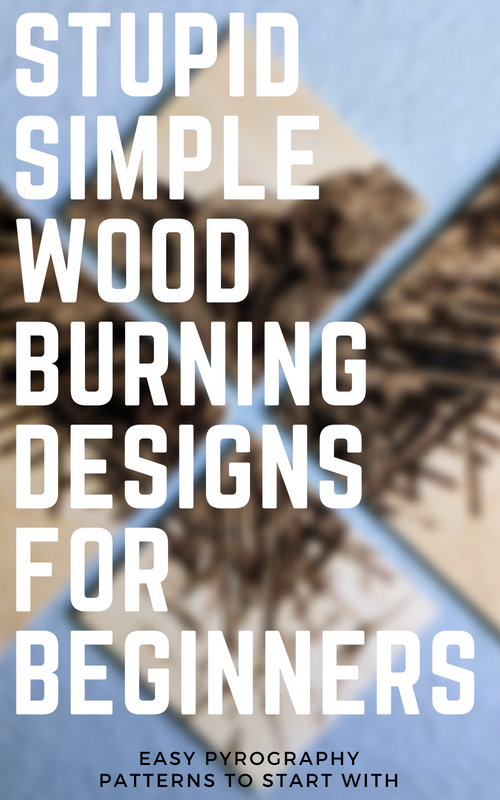 Dense Wood – I noticed how sturdy the wood felt in my hand once I picked it up. I love how it actually feels like the knife can go to town on some wood before I even carve anything. I’m not one for a lightweight handle, typically makes me feel like the knife is frail, so it’s satisfying gripping it in my hand. On that note, I can add that is sits very comfortably in my hand. 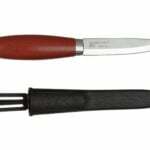 Ideal for Beginners – This knife set specifically I have recommended to plenty of people first starting out whom aren’t sure what to get. The price is reasonable for how durable and long lasting they are. 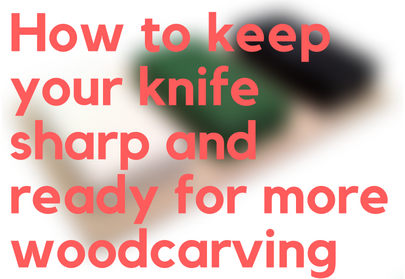 Something you’ll soon find out about wood carving knives is that you get what you pay for. If you buy a 16 piece knife set for under $40, then don’t expect it to have high carbon steel with a dense wooden handle. 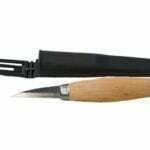 That being said, there are good carving knives for a relatively inexpensive price for starts, this Wayne Barton Chip Carving set being one of them. The knife definitely came sharp as ever, no doubt about that, but I did have to hone it a little before using the knife. Which, in all reality, is probably not a disadvantage since it’s good practice to hone your knives regularly. 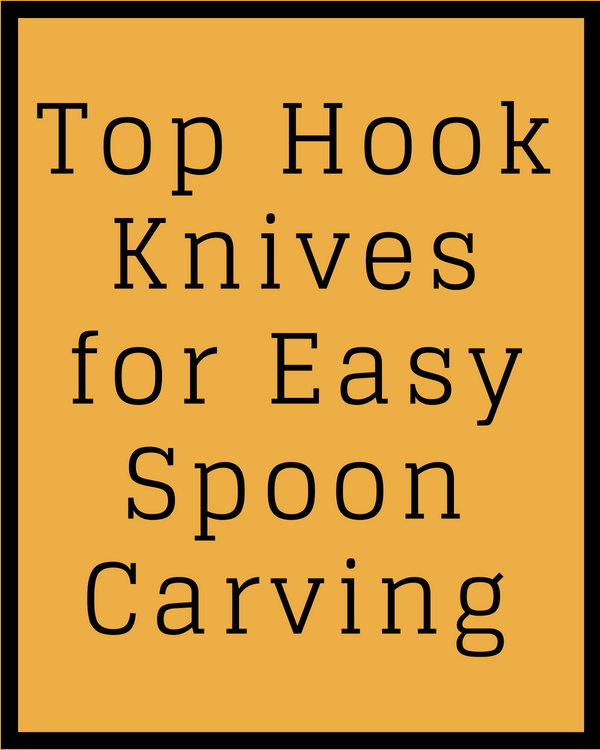 Make sure with whatever chip carving tool you receive that your primary knife has NO bevels. 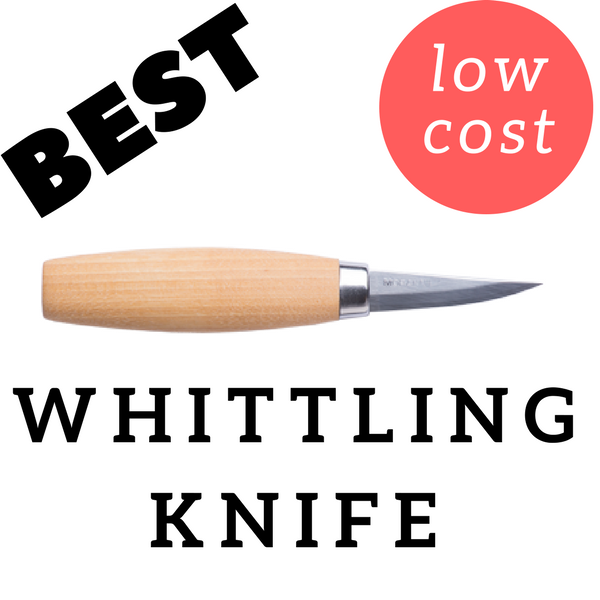 Chip carving is ridiculously easier with a blade that has no bevels. What Do I Do If My Knife Has Bevels? You’ll need to shave them down with a coarse grit sharpening stone, around 400 grit. Check out our Chip Carving Guide for more about this. Probably one of the better tools for introducing yourself to chip carving. I’d either go with this one or Pfeil, but the steel on the Wayne Barton knife is definitely superior. Flexcut has a pretty poor option for chip carving, but there’s plenty better options. 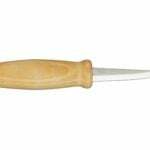 Hi there I cant seem to get your chip carving knives in the UK! 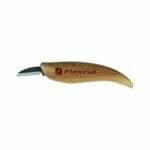 we are swamped by Flexicut which I have used, there ok but I would like to try a better knife. Your book is available in most good craft shops in uk, which I have, you obviously endorse your knives. Can you let me know if they are going to be on sale in uk.